Last week, I had the privilege of meeting our beloved processor in person. 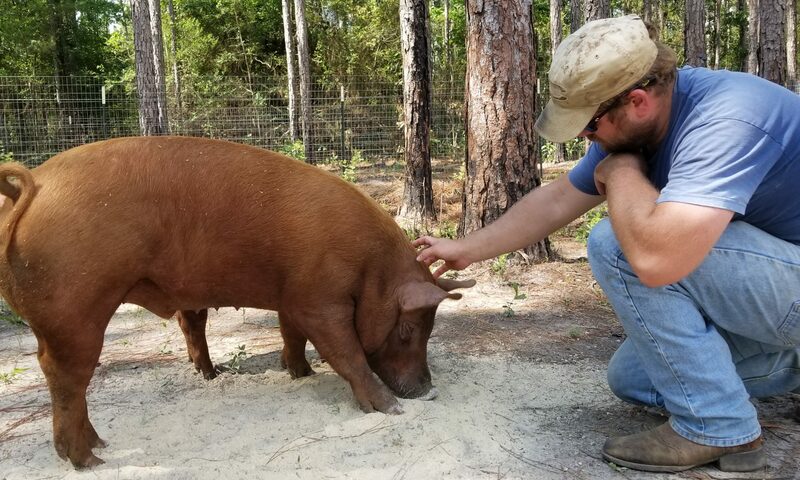 I have known Ethan of Homestead Farm and Packing‘s work of the past year with every meal that contains our home grown pork that we have taken to him. He was gracious enough to show us his operation from start to finish. During our time at the plant (which extended into lunch), we were able to discuss our shared passion for humane animal treatment. 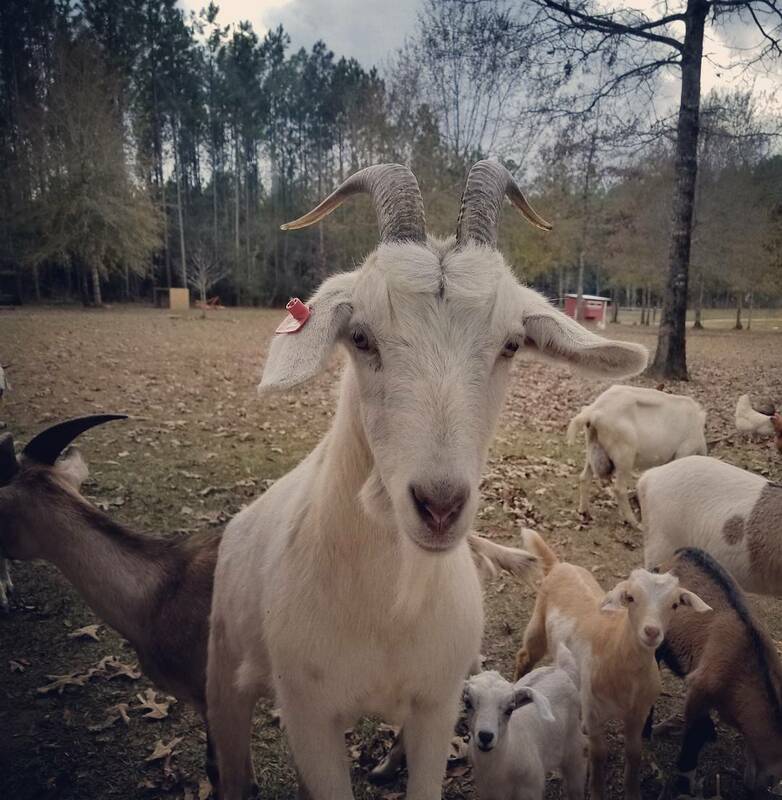 As we have written several times before, we hold the care for our animals at the upmost importance and to know our processor upholds those same values, is comforting. Our conversation wildly opened my mind to a different perspective of the meat processing experience that I did not even consider. It also refueled my passion to continuously learn more about this business. There is a reason we take our animals to Homestead Farm and Packing and it was only reinforced with our visit. I tell you this in order to tell you an account of another conversation that occurred that very morning. The morning of our visit happened be the morning after one of our daughter’s friends stayed the night. Knowing we were going to the plant and wanting share my excitement in it being my first time to take a tour of it with my kids and their friends, we asked our daughter’s friend if she would like to go. 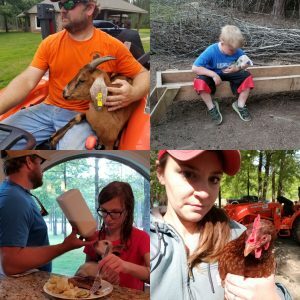 We thought it would be a cool experience for her to see what all is involved with farming, just like bottle feeding the baby goats, we have many responsibilities. We strive to include our children in as much of the business as we can, so they see the care, value and hard work we put into our business. Upon asking my daughter’s friend’s if she would like to go, her immediate answer to was “Absolutely not, that is murder!” We tried to carefully navigate the conversation with this young mind to open her perspective about the experience and where the meat that she eats, through the course of a day, comes from. It doesn’t just come from a grocery store, someone, somewhere raised that pig, cow or chicken that she would consume at her dinner table as she initial thought. After that statement, of course, we did not make her go with us. We provided other arrangements for her and our daughter to have fun while we were gone. But that opens up an even bigger concern that many Americans share this same reaction about livestock animals and raising them for meat to consume. They think the meat that is bought at the grocery stores is just that, grocery store bought meat! The bacon that is on the breakfast table comes from the grocery store. This is the EXACT cliché we are trying to change. YES, raising livestock comes with the cost of taking an animals life. NO, taking the life our livestock is not taken lightly. YES, we strive to give them the most valuable life possible while they are in our care. Would you rather know that the animal was taken care of on pastures, treated with genuine respect through its entire life and even in their death or just block the idea a living animal was behind the meat and it comes strictly from a shelved cooler? I can understand not wanting to put a sweet little piggy face and curly tail in the same image as my pork chop but it is a reality, a reality that should be appreciated and not shielded behind a grocery store cooler. In our day and age, it is so easy to push the responsibility or burden to someone else. It is our duty to the younger generation to bridge the gap from our farm to their table and take the time to explain these concepts to this young and malleable minds. They will be our future leaders of this country. If we don’t start to change their perspective now on where food comes from, farmers will be extinct in 20 years. The average age of a farmer is 58.2, according to the USDA NASS, 2012 Census of Agriculture, and only 5.16% are young farmers age 25-34 years old. So if you do the math, actually put the pen to paper, we will not have enough USA produced yield to support its population in 20 years. Needless to say, we did not change her mind in that conversation but we did our job and planted the idea to think about where her food comes from. Today… we have upheld our duty as farmers, we planted the seed of changing the culture for the youth in our country, one mind at a time. And my farmer(ish) soul was enriched! So I challenge you, know your farmer – not just your grocery store’s cooler. Form a relationship with them, know where your food comes from, appreciate your meal because I know how hard a farmer worked to provide you with that product!